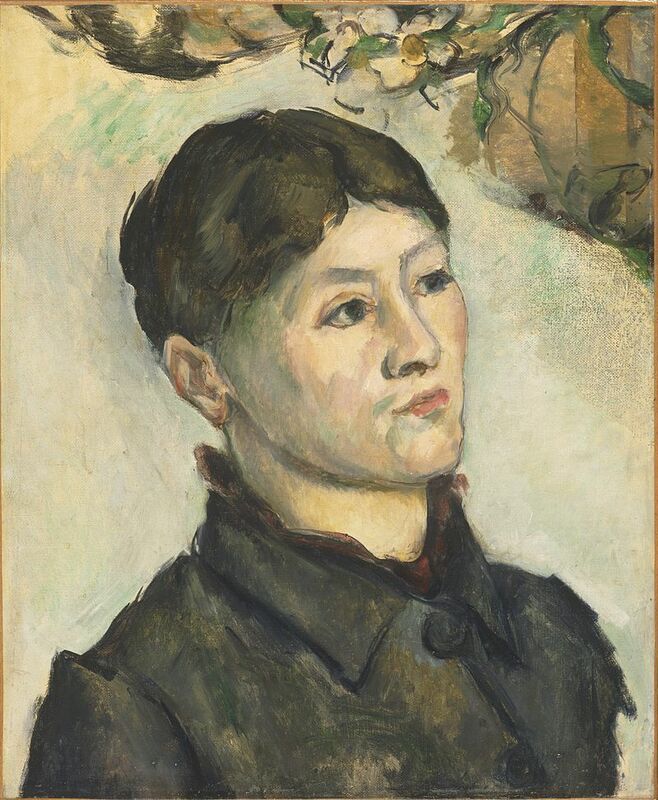 For the first time Paul Cézanne’s portraits of Hortense Fiquet (including the smaller intimate domestic sketches) are brought together in a blindingly beautiful exhibition at the Metropolitan Museum of Art. Due to lacking concrete knowledge about the character of Fiquet-lover, model, mistress, and eventual wife to the artist-history has painted her dubiously and coldly. 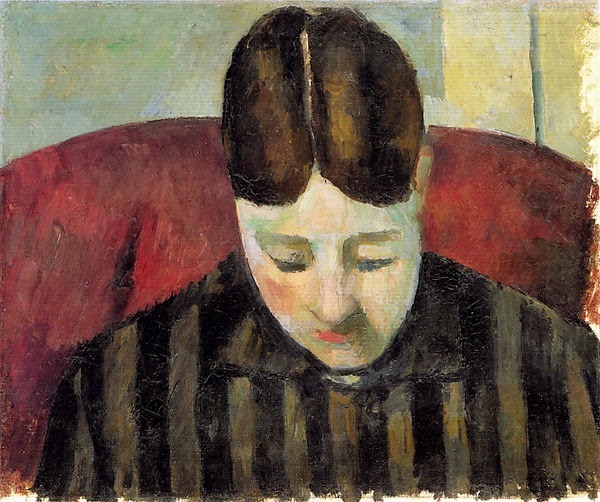 She is un-flinching and desolate in the portraits; Cezanne doesn’t ask her to play a role for posterity- he is interested in visual truth, not sentimentality nor posed expression. He allows his muse to exist as any model holding statue-still for hours on end would: honestly, starkly, meditatively. 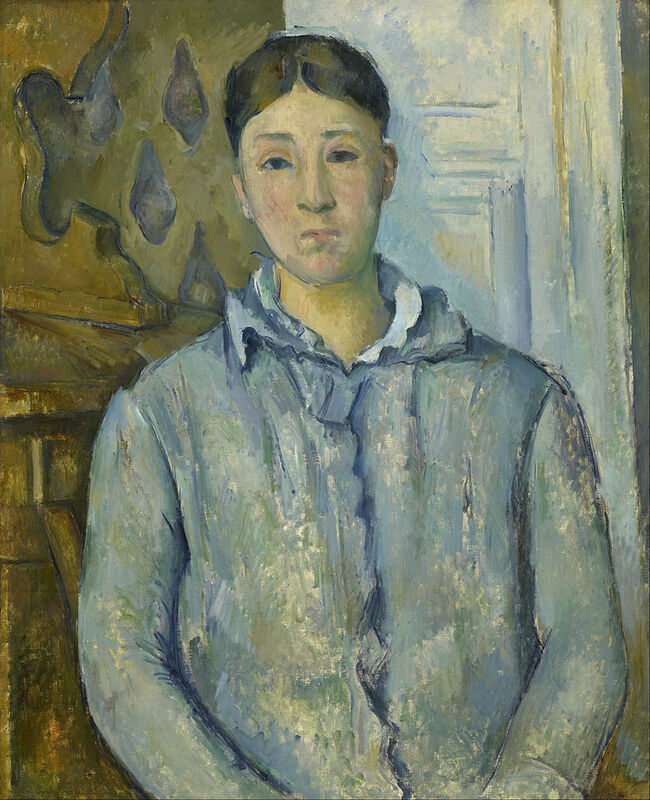 Hortense Fiquet was something masked and continuous in the life of Cézanne. Though he was devoted to his mate, he hid their relationship and spoke in disfavor of her material desire. No matter, he continuously used her as a source for visual inspiration. Approaching the two open-winged, perpendicular, center-line hung walls of portraits, I knew I was encountering something significant. Conceptions of Fiquet’s history became mutely important as I was surrounded by the breathing, almost agonizing immediacy of these images. The portraits express an exuberant Kantian disinterest in the subject before him that is only attained through the strictest attention to a contemplated hyper-visual consciousness-the kind of observational methodology evident in his paintings of nature or Mont Sainte-Victoire. This is the game that crowned him the father of modernism in the eyes of so many, including Picasso. Fiquet is his mountain is his tabletop-a force capable of such studied visual transcendence. His disciplined removed searching for the essential sparkle in the phenomenology of visual/material reality allows for the separation of viewer and subject, artist and subject, subject and self. 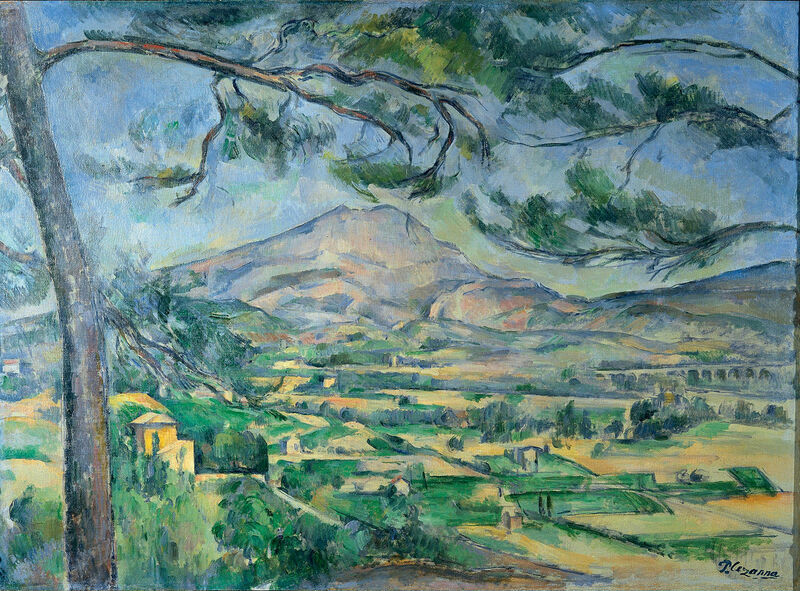 Cézanne Captures this existential split, this twitching gray magic that paradoxically permits the spirit of his observed to radiate fully-right in the moment of having her whole truth spilled back to material mud and then re-substantiated. The artist kills what he sees to rebirth what can only be felt, the fecundity and illusive flutter of material brought to life, the first form being actual life, and the second its mimesis. So what separates Hortense from an apple painted by the artist (an art historical insult once lobbed at the vague interpretation of the character of Madame Cézanne)? They are both living and beautiful, both are vague and distant. They both reveal love and obsession, along with the skewed realism of bi-cameral vision made into three-dimensions within the human brain and then re-invented through paint. They both are formal architectural blueprints bearing the weight of the creation of modernism. The comparison is less an insult in my eyes and more an interesting viewfinder illuminating the new sight at the turn of the 20th century that defined so much of how contemporary humans see. February 15, 2015 in Art Review.